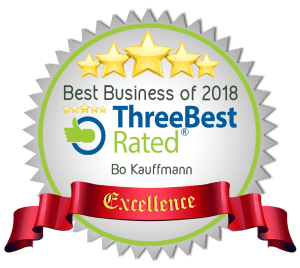 And hello Winnipeg it’s Bo Kauffmann Remax performance realty your residential real estate expert whether you you’re looking to buy or sell a house or a condo. Give me a call at love to help you out. So at this live event today what I’m going to do is give you a quick feedback on what the condo market and the housing market is doing and I think you’ll be impressed and surprised by how quickly things are starting to pick up. When we say spring market sometimes people think well it’s March or April not necessarily it’s depending on the weather. It can start as early as mid February. The other thing I want to do is I’m going to recommend to a trusted service providers if you’re a homeowner you might want to know these kind of people. I’ve been busy enough for 12 years and that’s allowed me to make contact and connections in a variety of industries from travel agents to mortgage brokers to lawyers to home inspectors that kind of thing. So what I’m going to try and do going forward is every time I have a live event I’m going to pick two little service providers and tell you about them. And maybe that’s how we’re going to start today. So I’m going to start with an electrician. Do you need an electrician so if your house for example has 60 amp service or you’ve got aluminum wiring or you’ve got knob and tube wiring in or you’re trying to build a garage or a basement an electrician can be like your second best friend next to your realtor of course. So let’s take a look at the wiring. I’ve been told and I’ve got along very good authority that major major insurance companies are getting very very fussy about aluminum wiring. So if you’re the buyer of a house and the House has aluminum they are now demanding that a lot of the buyers have electrical inspections done as soon as they move in or even before they move in. So here’s a hint if you’re looking at buying a house in certain areas of the city. Take for example Windsor Park St. James Fort Richmond North Kildonan just to name a few. And if that house was built between 1960 and 1976. Be aware there’s a pretty good chance that the House has aluminum wiring. Now aluminum in and by itself is not an issue. Don’t be scared off by it. It’s still is still good wiring. They still use it in commercial applications simply because it’s much cheaper than copper where the problems can is when a previous owner has done upgrades to the house and hasn’t done them correctly. So for example if you go to Home Depot right now and you buy a light switch and it’s about a buck 29 but if you buy an aluminum blade rated light switch it’ll cost you about eight bucks. So if and if a homeowner is upgrading 40 or 50 light switches and receptacles and it looking a buck 29 versus a box quite often they’ll grab the buck 29 even though it’s not the safe thing to do. So insurance companies are aware of this and they’re demanding that buyers get inch get an inspection. And so I’ve got a great connection for that. I’ve had some experience with that. I’ve had a listing where the. It was a side by side. It was 800 square feet. And the owners needed to replace or the new buyer needed to replace a 40 receptacles and certify all the lights and an end up costing him just under fifteen hundred dollars. Now that’s not the end of the world. It’s also not a hit you want to take when you’re moving into the house without having any expectations of it. Now that’s aluminum. Don’t get me started on Knob and tube knob and tube. There are companies out there right now that are charging an arm and two legs to remove knob and tube wire. And I hear estimates of 25 thousand $30000 especially if you have an older home in like River Heights and it’s two and a half stories. So if you’re selling such a home it might be a good idea to have the inspection done and get a written estimate because buyers will come in they’ve heard those stories and knob and tube replacement is going to cost me thirty thousand when in reality it might only be 14000. OK. So get a written estimate so that you can show the buyer what did it taste and black and white again if you need attrition. Call me 204-333-2202. E-mail me at [email protected] or send me a message on Facebook and I’ll be very happy to put you in touch with the electrician. All right so let’s take a look at what the market’s doing. And the first thing we’re going to see is going to get rid of this one and we’re going to show the entry level condos right now what I consider an entry level condos are condos between 100 and $250000. So I’ve looked at the market as of February 15th. I always look at in the middle of the month and on February 15th there was three hundred nine condos available and the previous month there was 278. So that the availability hasn’t changed all that much. But as far as sold condos go in the past month we’ve sold 48 in that price range in Winnipeg and the month before we only sold 19. So the market has more than doubled and that is again the month before would have been over Christmas and over new years so that the market there traditionally is quite a bit slower let’s look at some condos in the higher price ranges. We’ve got condos above $250000. Right now we’ve got 240 available in the previous month of 2 0 9. So just a slight increase maybe 12 percent or so but as far as sales go in the past month we’ve sold 34 in this price range the previous month before that it was only 23. So that’s a slight increase and weightless. Actually the stats for the housing market it’s even more significant now if you’re looking at buying a house whether it’s the first house or you’re downsizing your upsizing and you haven’t bought real estate in the last five or 10 years you might want to take in what they call a home seminar it gives you all kinds of information. I’ve got a better idea than a seminar and that is an online webinar during this web and you can take this in from the comfort of your home. You can’t take it on your mobile device any computer that has a that has a speaker system. So during this seminar are we talking about the whole buying process. I’m going to give you all your current all your mortgage options and then talk about how to write willing offers and stuff. So how do you get to this. Actually I’ve got four spots a week for his webinars. Just the evening Thursday evening Saturday morning and Sunday afternoon. So you can pick the one that suits your timetable and this is how you get to it. You get on that landing page you’re going to see a short video you can shut off. You don’t have to watch it and you can select the date and time that best suits you. There’s no obligation there is no cost for this. Winnipeg.tips/buyerwebinar. So I hope to see you there. Let’s go on with the next point. And that is now let’s look at the entry level houses. Now I define entry level houses at a hundred thousand to 250. Obviously you can still buy houses under 100. It’s not my specialty market. It’s not something that I really could get into a lot. You buy a house under 100000 is either a house needs lots of work or the area is somewhat skeptic somewhat sketchy. So a hundred to 250000. We currently have 267 of these homes available. The month before was 279 So inventory actually has dropped a little bit. Now let’s look at the sales in the past in the past month. Awesome Video, Bo Kauffmann, REALTOR®!